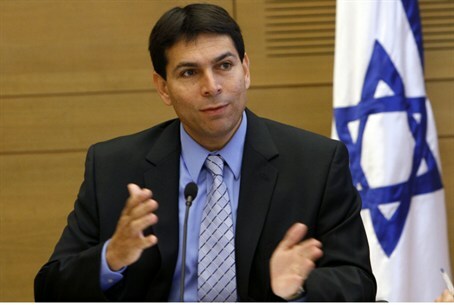 MK Danny Danon warns that freed terrorists are a threat as another terrorist freed for Shalit is rearrested. A terrorist who was among the 1,027 freed in exchange for captive Israeli soldier Gilad Shalit was recently arrested for further terror-related crimes, making him the eighth Shalit deal prisoner to be rearrested. MK Danny Danon (Likud) is not surprised. Danon called on security forces to re-arrest the freed terrorists. “Those terrorists signed a document in which they committed not to return to terrorist activity, but they forget their promises the minute they step off the bus,” he said. “That’s why I hope the military catches them, alive or dead, and does not let them continue to walk free,” he added. Danon was behind a new law under which freed terrorists who are subsequently convicted of new involvement in terrorism will need to serve not only their new prison sentence, but the end of the sentence they were released from early, as well. The law was recently put into effect for the first time in the case of Ali Juma Ali-Zidat, a terrorist from the Hevron region who was freed in the Shalit deal eight months before his prison term was to end. Ali-Zidat was arrested and sentenced to another year in jail for new offenses, and will now serve one year and eight months before release. Among the offenses committed by freed Shalit deal terrorists have been attempts to kidnap Israeli soldiers and civilians to use as bargaining chips for further prisoner release.